Sherri Hill 2014 Spring Summer Miami Collection, Spring Summer 2014 Miami Collection by Sherri Hill. 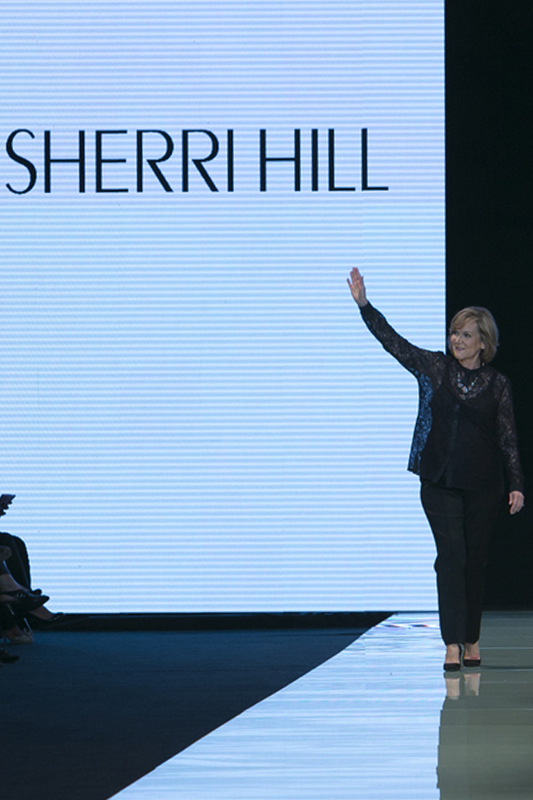 This year at the Miami Fashion Week, Sherri opened up her collection with a contemporary style molding a twist of Miami resort 2014. The designs were complete perfection as always and Miss Universe 2014, Gabriela Isler walked the ramp in a fabulous sparkling red for Hill’s collection looking like the radiant queen she is. Sherri’s collection comprised of shades of red white and blues. Some were long gown defining the curves and posture of a female body, having slits in the middle or at the sides. Others were long gowns with flares embellished beautifully with fine material showing off the royal look that hill provides to every one of her pieces. Sherri is known for her creativity in prom dresses and evening gowns giving each piece a look glamour and radiance. The designs follow an absolute contemporary and glamorous look for today’s women. They are chic, stylish and downright gorgeous. Sherri has now become a Hollywood go to designer for young stars like Selena Gomez, Carrie Underwood, Miranda Lambert and Bella Throne. Previously Hill showcased her spring 2013 collection at New York Fashion Week with Kendall and Kylie Jenner and Miss Universe 2008 Dayana Mendoza walking on the runway.